In her award winning book "Bullied," Carrie Goldman explains how bullying is often misinterpreted by parents and teachers. Many view taunting (despite it being a beginning stage of bullying) as "a schoolyard right of passage." I have personally lost count of the times I've heard someone say: "Boys will be boys," "Girls are Girls," "Kid's will be Kids." Unfortunately, this mentality only serves to confuse the definition and send a message that the behaviour is not only normal but acceptable. As defined further down in this article, you will see there is a profound difference between teasing and taunting. Bullying often starts with what many adults view as harmless teasing however, in reality when examined closely, one will exhibit the characteristics of taunting, which is cruel and hurtful behaviour with an intent to do harm. When understood, the signs of taunting should be quite visible and evident to adults. Children cannot be expected to automatically know the difference. Parents, teachers and other influential figures in their lives must take responsibility in both educating and guiding them in appropriate behaviour. In this fast changing world, the subject of bullying can get quite complex and to this day psychologists strive to understand its full dynamics and the implications for its victims. There is no doubt bullying is becoming an epidemic and we must change our perception, open our eyes to the warning signs, and commit to taking these signs seriously. I'm sure the following statistics will validate the need for serious concern. The 2014 statistics reported from nobullying.com, convey that 30% of schoolchildren in America (1 in 3) experience some level of bullying between grades 6 through 10. Shockingly, throughout an entire childhood that percentage jumps to 83% of girls and 79% of boys that will experience some form of harassment. Of course the most sorrowing statistics represent cyber bullying suicide rates. According to The Center of Disease Control, these rates account for 4,400 deaths in teens and younger children annually. With 100 suicide attempts for every successful death this represents 440,000 attempts at suicide each and every year in America due to cyber bullying. Statistics also report that the 10 to 14 year old group is the most likely to make a suicide attempt. The Canadian Statistics are no more encouraging and in most cases even bleaker. According to The World Health Organization, Canada ranked a dismal 26th and 27th respectively out of 35 countries on measures of bullying and victimization. A 2011 Ipsos Reid Survey of 416 Canadian teenagers reported that 25% of girls and 17% of boys between the ages of 12-15 have witnessed some form of online harassment or cyberbullying. 51% of all Canadian teens have had negative experiences with social networking. As Cyber Bullying is the most concerning issue today, a 2010 survey of 33 juniour high and high schools in Toronto reported that 49.5% of students have been bullied online. Bullying occurs every 7 minutes on the playground and once every 25 minutes in the classroom. These are all extremely troubling statistics and must not be taken lightly. With all the attention from media, and attempts from our schools, government, and community groups at large to stomp out bullying, these statistics sadly suggest we are still not doing enough. To validate that, PREVNet, Canada's authority on bullying report that 78% of Canadians believe not enough is being done to stop bullying in their communities. Adults in a child's life can be blindsided by the effects of bullying. Often by the time it is exposed parents find themselves scrambling to do damage control with no definitive or constructive plan of action. This compounds the issue leading to increased negative effects. Of course your parental responsibility is in helping your child to understand bullying, guiding and protecting them, and minimizing any potential bullying situation they may encounter. This is a tall order for any parent, given the complexity of the subject. "Don't get caught off guard"
The most important way for you as a parent to combat bullying is by taking a proactive approach in educating yourself prior to your child becoming a victim. Most often bullying is a slow and gradual process sneaking under the radar of parents and teachers alike. For this reason it is imperative for you to understand the different types of bullying, to be attentive to the signs, and be prepared for supportive, timely and appropriate corrective action. 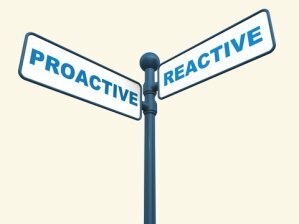 1) To recognize the signs in order to stop it before it escalates into a serious problem. 2) To prepare yourself for appropriately handling a bullying situation. 3) To prevent your own child from becoming a bully. 4) To teach your child to advocate for themselves and others by standing up in a situation of bullying. 5) To intervene and support any child you witness being subjected to the distressful wrath of a bully. 6) To be an advocate of anti-bullying programs in your child's school and the community at large. 7) To help educate others in understanding and acting on this troubling epidemic. All that being said, lets get to the definitions. To put the definition of bullying in simple terms, it is considered to be any repeated unwanted comments or actions of aggression with an intent to harm its target, displaying an imbalance of power between the bully and the victim. Dr. Kimberly Mason,PhD. author of "Bullying No More" describes it as a form of aggression where the bully willfully and deliberately intimidates and humiliates their target to induce fear through threat of further aggression. Bullying behaviour is always meant to inflict harm through physical or emotional pain and suffering of some sort, and the perpetrator takes pleasure in the ramifications of his/her negative behaviour. Characteristically, there are four main types of bullying: verbal, physical, electronic, and emotional (often referred to as relational bullying). They are generally classified by two categories. The first is direct, overt and easy to detect such as verbal and physical bullying. The second is indirect, covert and hard to detect as with relational bullying. They are defined in greater detail further down in this article. It's important to accentuate the three main criteria mentioned above that need to be present when clearly identifying bullying. In order for the behaviour to be considered bullying, it must be defined as repeated, not necessarily by the same person - often bullies recruit others to inflict their torment. It must be confirmed as frequent abuse toward the target. It does not need to be continuous, periodic negative and aggressive behavior also falls under the official term of Bullying. Special Note: Such negative and aggressive conduct itself is often identified in an isolated incident. Parents, teachers, coaches, camp counselors or anyone working with children must be extremely vigilant in monitoring for recurrence, and must take immediate action to resolve the issue. A bully's intention is to cause emotional or physical harm and generally gets pleasure from the fear, anxiety, terror and control they exert upon their target. It is no accident, or misunderstanding, it is calculated, deliberate harassment and intimidation toward their target. Many things can represent a power imbalance. With physical bullying, mere size and strength of a bully can easily intimidate a target. Age factor is common and occurs where an older child subdues a younger one. A tough demeanor and strong verbal assertiveness can easily intimidate, overpower and victimize a target. A stronger social ranking is often used to diminish the power of a target, as with relational and electronic bullying. Strength in numbers also plays a major intimidation factor in all forms of bullying - physical, verbal and emotional. In short, in the context of bullying an "imbalance of power" represents any deliberate and wilful abuse of power (or perceived abuse) exerted by the bully over their victim, whereas with such intimidating behaviour the victim for any reason feels powerless to control and avert. The definition of teasing can be somewhat controversial and the lines are often blurred between fun teasing, malicious teasing and taunting. If we separate the elements into two simple terms of "teasing" and "taunting" it is easier for children to understand the difference and learn to exercise kind, caring behaviour. As Barbara Coloroso depicts in her extremely informative book "the bully, the bullied and the bystander," teasing is a fun thing to do with friends, people you care about. Taunting is a choice to bully someone for whom you have contempt. Barbara conveys, properly identifying taunting as bullying helps to communicate the gravity and meanness of it, as opposed to the lighthearted nature of teasing. How many times have parents including myself, told one of their children to stop teasing your sister or brother, whatever the case may be. In actuality, and in accordance with Barbara's theory we are only adding to their confusion. As you will see in the definition below, when properly identified, teasing if crossed over to represent malicious intent should be referenced as taunting. It can best be defined as statements or actions carried out in a lighthearted manner to poke fun and make both parties laugh with no intention to harm. It is generally reciprocal in nature, give and take where both parties may tease back and forth. Fun lighthearted and respectful teasing is usually intended to lighten the mood between friends and can actually strengthen their relationship, portraying a special bond between them. If the line is crossed, the behaviour always stops if either party objects or becomes upset. As you will see taunting on the other hand is quite different from teasing. Taunting is always one-sided and represents an imbalance of power that is intended to harm by demeaning, ridiculing or dominating the target. It involves laughter directed at someone not with them. Usually with a sarcastic tone of voice involving cruel comments or humiliation and often exhibiting aggressive body language like shaking of the head, smirking or rolling of the eyes. Taunting usually continues even after the target becomes upset or objects to the behaviour. At this point it can be considered "bullying." 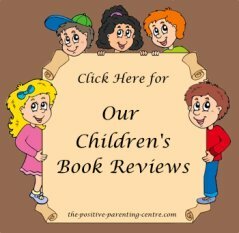 It's important to note that as young children instinctively begin to experiment with their normal development of control and personal power, they are often unaware of right and wrong behaviour and will unintentionally exhibit bullying like conduct. 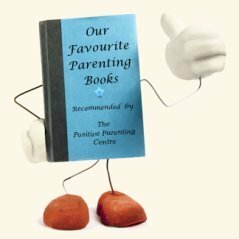 When guiding your children in the positive development of kind and respectable behaviour, you must coach and mentor them with patience, and a great deal of respect for their lack of awareness and understanding of their social world. You need to teach children to be aware when they have crossed the line between teasing and taunting. In her outstanding book "Bullying Epidemic" Lorna Blumen refers to that inflection point as the "Ouch!" point at which time either feelings are hurt or someone is physically hurt. You must teach your children empathy, to be on the receiving end in order to recognize the target's reactions and understand their feelings. You must also teach them, if they are the targeted child to speak up when the "Ouch" point is reached. Building on and with thanks to Barbara Coloroso for her pioneering work in children’s bullying prevention. Her book, "The Bully, the Bullied, and the Bystander" was and continues to be a key contribution to our understanding of children’s bullying. Hopefully, I have provided a clear understanding of the difference between bullying, teasing and taunting, and will now provide the definitions for the different types of bullying. Learn more about these physical bullies, why they behave as they do, who is susceptible to their wrath, and understand some serious ramifications for the victims. 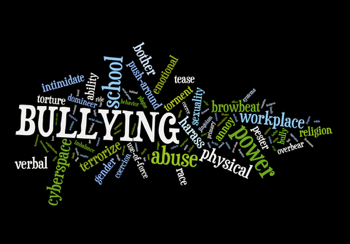 Watch for our Articles on "Verbal Bullying" and "Cyberbullying," coming soon.